Tin Opener: A jumbo coin production that is an ideal quick opener. 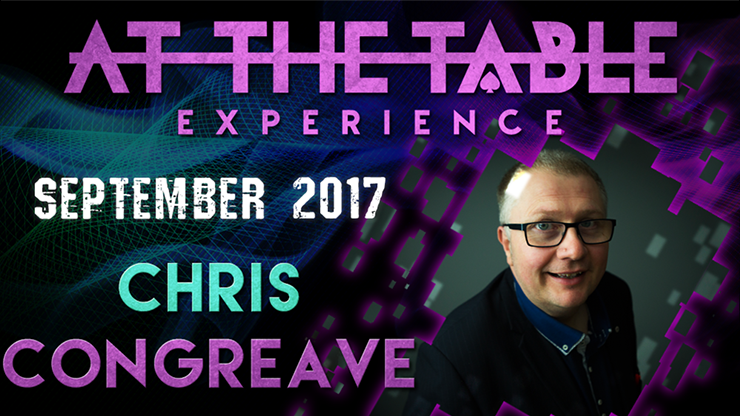 Drawn: Chris's new opening card effect at tables. Many working pro's, including Lee Smith and Gary Jones, are using this. Name Badge: You wear an I.D. badge with a card face down in it and... well, you'll see! Card to (Almost) Any Number: Another self-working routine that is a real fooler. Coin to Impossible Location: A coin to impossible location. A signed coin effect where the item vanished appears in a locked box. Marked Deck: You reveal the secrets of a marked deck (not really, it's a commercial worker with a great ending that no one sees coming). Free Phone: A completely propless version of the Free Will plot. Not only a strong effect, but it also guarantees you'll get a booking agent's contact info! Diminished Most Likely: Based on Paul Gordon's "Diminished Not Likely" with an impactful four-card transposition at the end. Impromptu Anniversary Waltz: A variation on Anniversary Waltz that you can perform with just a standard deck of cards - no gaffs needed! Signed Card to Tin: A signed card is found in a small tin. A wonderful callback effect to the Tin Opener!